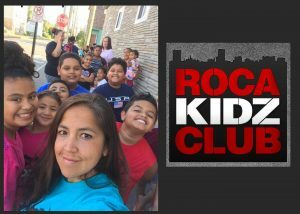 On today’s Come Together community segment, Jen Hebert joined Lori to talk about Roca Kidz Club. Jen Started off telling us that Roca was a Spanish slang word that means Rock. She then referred to when Jesus said he would build his church upon a rock. She also told us about the type of kids they serve, and the abuse and neglect many of them endure. She shared that their goal is help kids know the genuine love of God. Next, Jen told us about the history of reaching inner city kids and the volunteers and supporters within the community. She gave us the rundown on how the weekly gathering feeds the kids physically and spiritually, as well as, giving them opportunities they wouldn’t normally have. Finally, Jen named some of her biggest supporters and how we can get involved, Listen in and hear more about it.